IT is during difficult times that a friend is distinguished from an enemy. 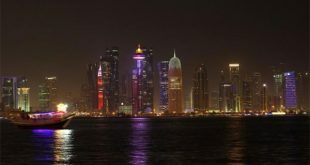 For the past 20 years or more, the member states of the Gulf Cooperation Council (GCC) and some Arab countries have been maintaining silence over their agony concerning the frivoling politics of Qatar. Yet, they always opted for diplomacy and mild approach towards resolving issues. Throughout that time, Al-Jazeera satellite TV channel represented the sword which was being brandished towards these countries, especially the GCC. No country was spared from the media accusations and intrigues that it broadcasted. 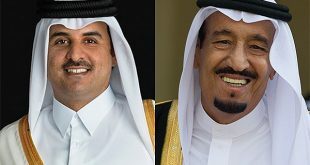 This was followed by official Qatari establishments’ politics of interference in the internal affairs of Saudi Arabia, Bahrain, United Arab Emirates and other GCC countries. 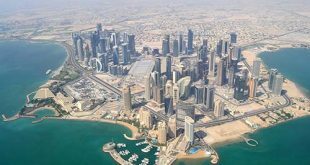 Perhaps, Qatar’s financial boom rendered its administration delusional about its ability to rule the world. It depended on money to find its role in this aspect, without realizing that its dream was bigger than its ability to achieve it, let alone the concept of forgetting its geographic and demographic necessities, and the abilities of other nations. Qatar has also mistaken kindness for weakness, not knowing that Qatar, irrespective of the money it spent, cannot become Ottoman Empire, and Doha cannot become the Istanbul of the 21st century; not in the GCC region or even in the Arab world. In this matter, the Qatari administration needs a lesson in geography to compare its total area with that of Saudi Arabia, which is about 2.15 million square kilometers. It must also take note of Saudi Arabia’s wealth, economic and financial capabilities, and its population, which is three times more than Qatar’s population. In addition, Saudi Arabia has the custody of the Two Holy Mosques for 1.4 billion Muslims who converge there based on directives of Allah — “And proclaim among people the Pilgrimage; they will come to you on foot and on every lean camel, coming from every remote path” (Quran 22:27). The United Arab Emirates (UAE), with its vast area of seven emirates, is competing in development and prosperity with a unified spirit. This is rare in Arab history, and makes it ludicrous for this country to someday become a governorate of the Qatari Empire, the size of which does not exceed 12,000 square kilometers. Bahrain, the weakest of the ring based on Qatar’s estimation, has been able to strongly withstand Iranian attack and Qatari coercion in the past years to the extent of defeating the former and bridling the latter. 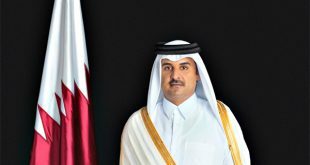 Egypt remains firm against Qatar, which has declared hostility because Egyptian citizens had revolted against the regime of the rascal “Brotherhood” which is sponsored by Doha. Nobody in the Arab world can forget Egypt’s historical role, be it in Qatar or the rest of the Arab countries. She took up the responsibility of defending issues concerning the Ummah. She incurred massive losses in that regard from the time she faced the challenge of Ottoman Empire until today. The most recent honorable stance taken by Egypt was delivering trust to Saudi Arabia by returning Teran and Sanafer islands. All Egyptian leaders, lawyers and lawmakers as well as large percentage of citizens unanimously agreed on the right of Saudi Arabia in that regard. Qatar embarked on a fierce campaign against Egypt and Egyptians, accusing the leadership of serious betrayal. This amounts to reckless interference in the Egyptian-Saudi affairs which does not concern Qatar in any way. Since Qatar is determined to foment crisis, she continues to fuel the fire. However, the smoke can only blind the eyes of the one who ignited the fire. Egypt remains a big nation, because she does not usurp the rights of others and returns trust to the rightful owners. This has reestablished the fact that she is not interested in invading other countries. This brings to the mind the saying, “God bless the difficulties that enabled me to differentiate between friends and foes”. It was the same difficulty that made Saudi Arabia, the UAE and Bahrain detect the dirty game being played by Qatar which dragged many other countries within the region and across the world into that game. The three GCC member states rose up to announce clear stances and to reveal the kind of attacks from Qatar now and in the past. Why did Qatar do all these? Why did it take such actions in Bahrain, Saudi Arabia and other countries? 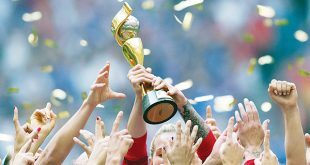 What was it planning against the UAE? Did their officials believe responding to questions with the statement — “Present your proofs” — can convince the world? Now the evidences are being disclosed one after the other. Perhaps they are being presented in international events so that stern measures can be taken against Qatar. Does it make any sense that a country seeks that by enforcing its will and arrogance? Or does the illusion of depending on Iran and bullying with it prevent it from seeing the truth? Or will the Turkish military base preclude it from international accountability? Perhaps the Qatar administration is required to look well at the inclination of the international community to adopt the GCC stance concerning the Syrian regime. In fact, the GCC countries were the first to warn the Syrian regime against surrendering Syria to Iran, which today has been proven to occupy Syria using all means. Is Qatar seeking to become a captive for a number of Iranian planes which carry food supplies, making herself a Persian “Troy Horse”? Didn’t the Qatar leadership see what Iran did in Saudi Arabia, Bahrain, Kuwait, UAE, Yemen, Egypt, Syria, Iraq, Lebanon, and Libya? After all this, does it think the expansionist Mullah regime will not swallow her when it takes control, unfortunately with her help, of the region? Maybe we all needed this crisis so that all issues are made clear for all. Now, it will be easy to solve the issues from the core so that no fire will remain under the ashes of brothers. And that my enemy becomes my friend, or my brother or cousin becomes my enemy, not my friend. Seriously, it does not make sense for the whole world to be wrong and Qatar alone to be right and demanding evidence? Quran 76:30 — “And you do not will except that Allah wills. Indeed, Allah is ever All-Knowing, All-Wise”. Glorified and exalted is He! Everything is governed by His will!